He studied composition with Rubin Goldmark in 1917. 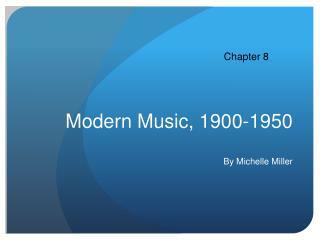 He began to study composition and orchestration with Nadia Boulanger in the fall of 1921 and remained her student until 1924. 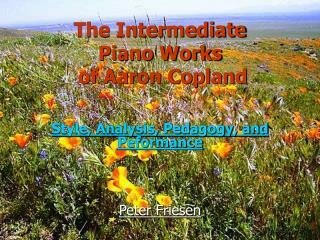 He was her first full-time student. 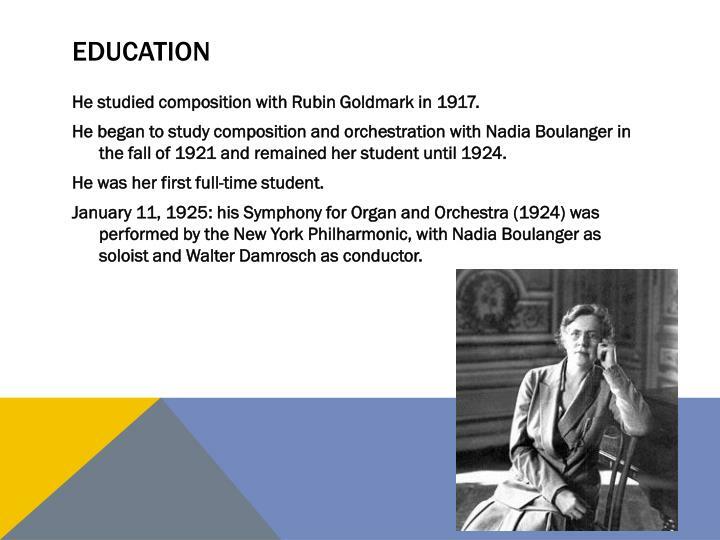 January 11, 1925: his Symphony for Organ and Orchestra (1924) was performed by the New York Philharmonic, with Nadia Boulanger as soloist and Walter Damrosch as conductor. 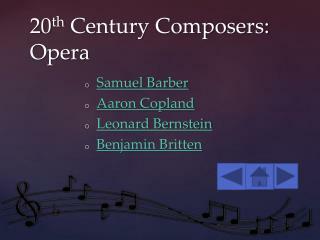 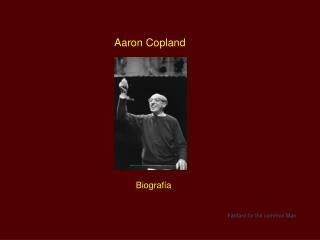 He composed chamber and choral music, orchestral and band music, operas, ballets and film scores. 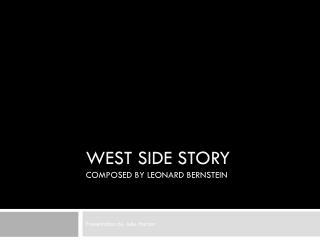 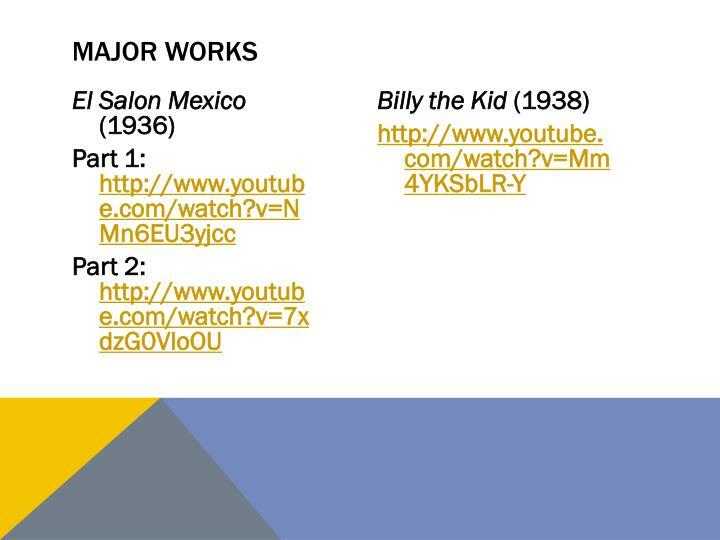 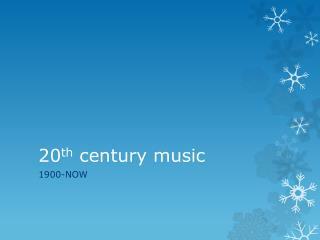 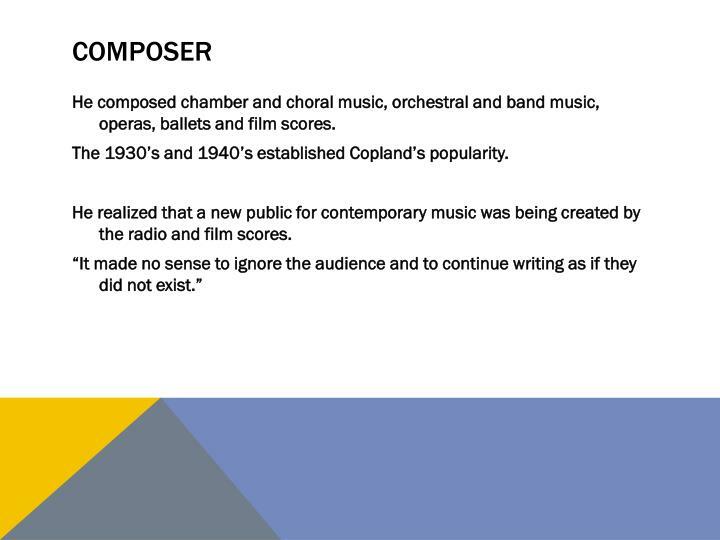 The 1930’s and 1940’s established Copland’s popularity. 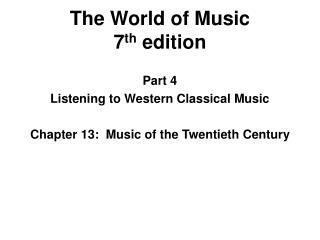 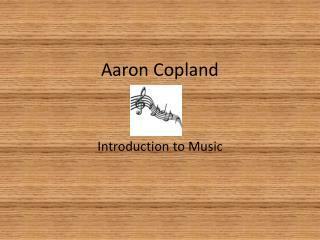 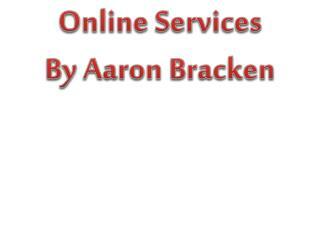 He realized that a new public for contemporary music was being created by the radio and film scores. 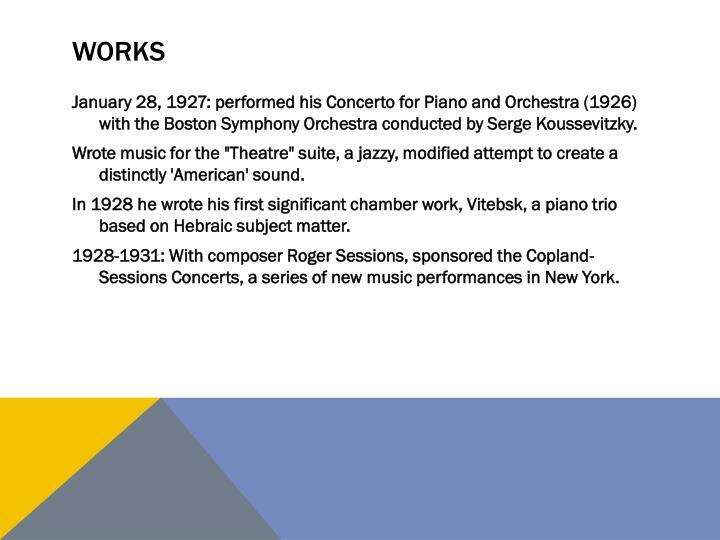 January 28, 1927: performed his Concerto for Piano and Orchestra (1926) with the Boston Symphony Orchestra conducted by Serge Koussevitzky. 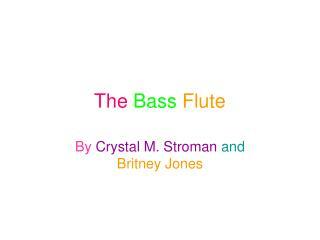 Wrote music for the "Theatre" suite, a jazzy, modified attempt to create a distinctly 'American' sound. 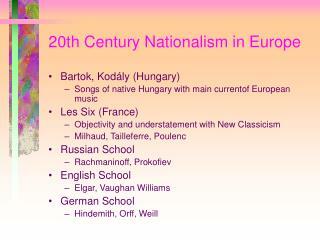 In 1928 he wrote his first significant chamber work, Vitebsk, a piano trio based on Hebraic subject matter. 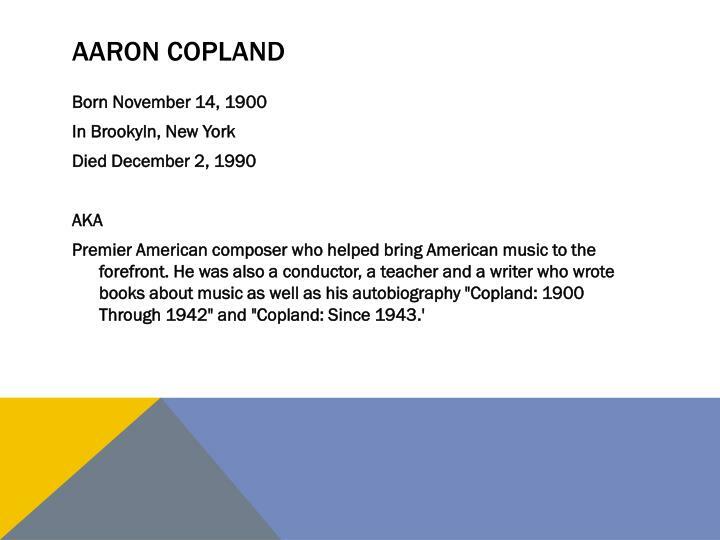 1928-1931: With composer Roger Sessions, sponsored the Copland-Sessions Concerts, a series of new music performances in New York. 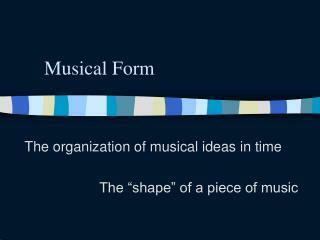 Rhythm: very slow, changing meter is faint. 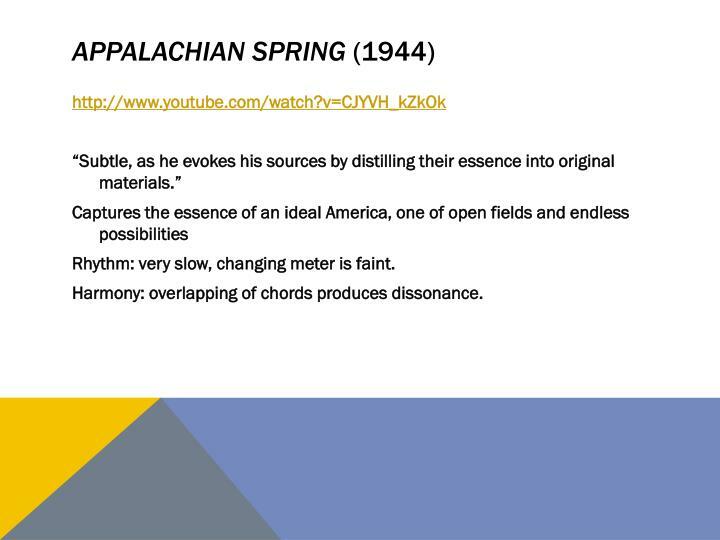 Harmony: overlapping of chords produces dissonance. 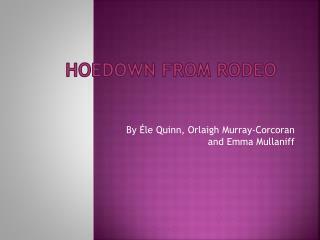 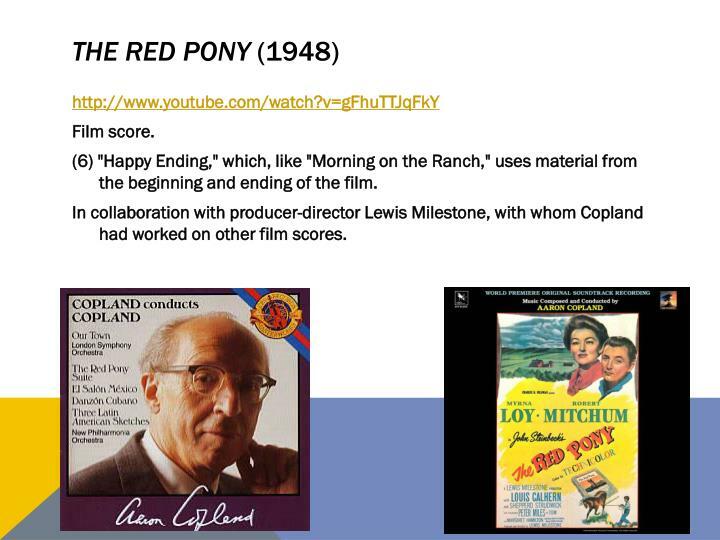 (6) "Happy Ending," which, like "Morning on the Ranch," uses material from the beginning and ending of the film. 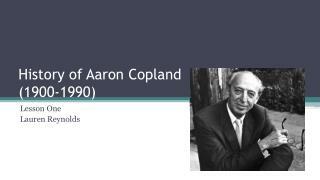 In collaboration with producer-director Lewis Milestone, with whom Copland had worked on other film scores. 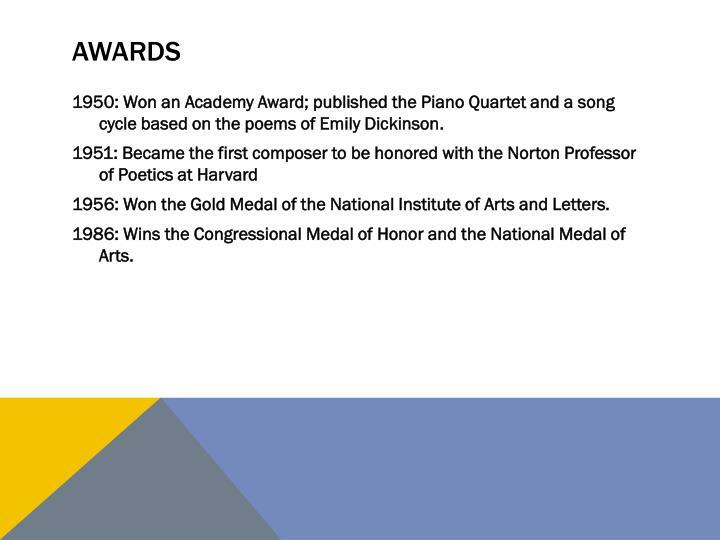 1950: Won an Academy Award; published the Piano Quartet and a song cycle based on the poems of Emily Dickinson. 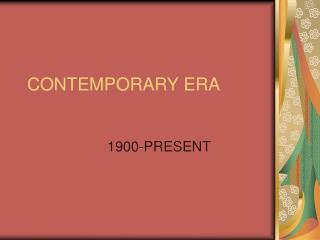 1956: Won the Gold Medal of the National Institute of Arts and Letters. 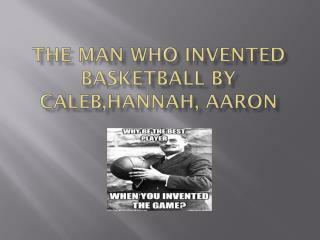 1986: Wins the Congressional Medal of Honor and the National Medal of Arts. 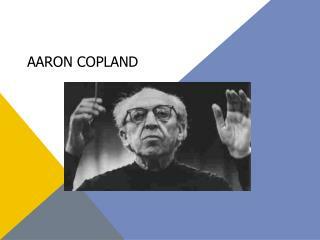 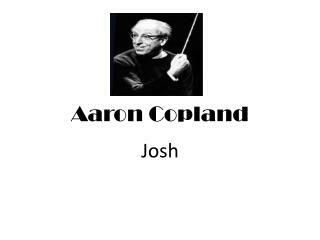 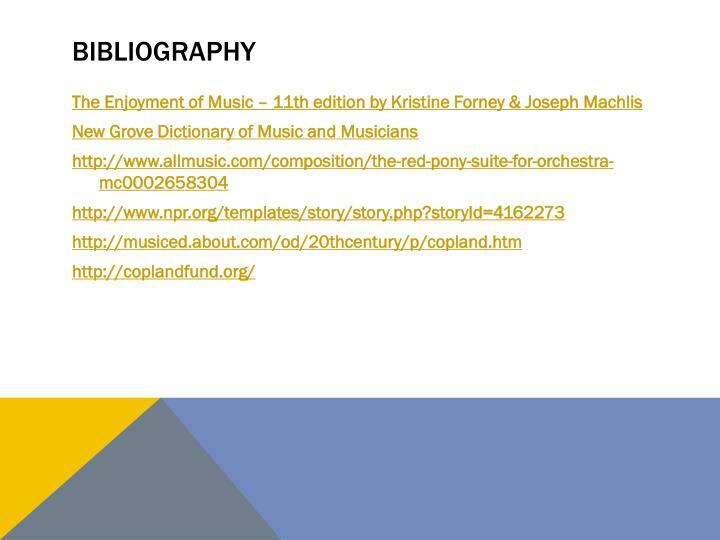 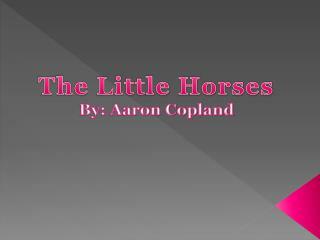 In keeping with his lifelong devotion to contemporary music, Aaron Copland created the Fund and bestowed to it a large part of his estate. 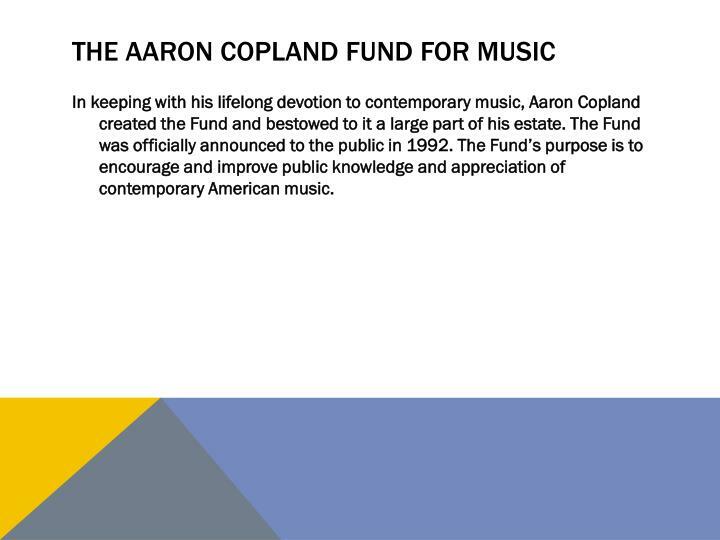 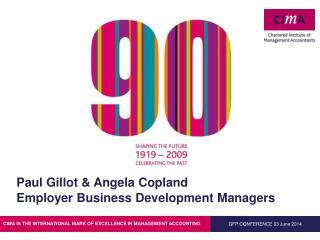 The Fund was officially announced to the public in 1992. 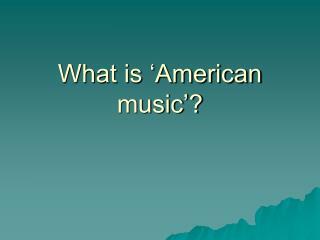 The Fund’s purpose is to encourage and improve public knowledge and appreciation of contemporary American music.